Friends of In The Crosshairs and Crosshairs Radio, Arley Kemmerer and Rachel Rubino, have a new team and a new teammate and we couldn’t be more happy for them. Kemmerer and Rubino will be joined by Taryn Mudge and will race for Fearless Femme Racing. 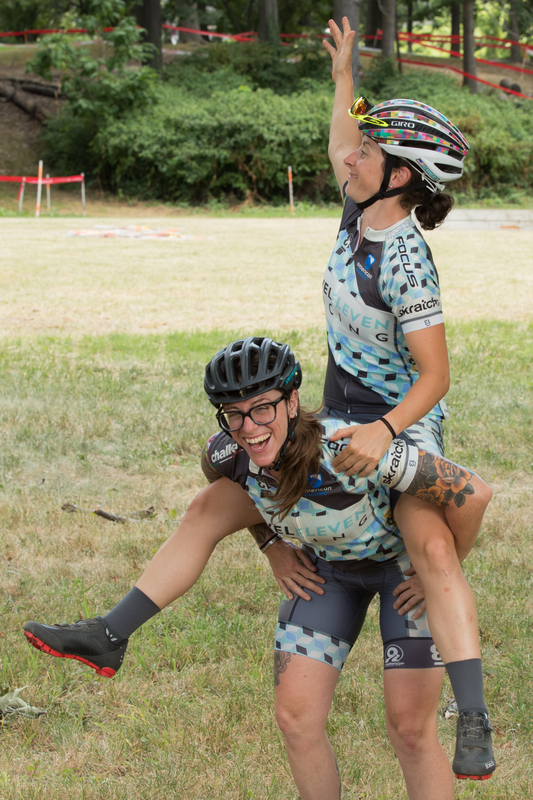 As great as it is for Kemmerer, Rubino and Mudge, it’s also exciting to see Fearless Femme Racing, an elite road and crit racing team enter the world of cyclocross. I hope it’s a path other domestic road teams follow. Expect to hear more from this squad on the pages of cxhairs.com. If you haven’t already listened, check out Arley’s episode of Crosshairs Radio where we talk in depth about the work necessary to put together a successful cyclocross program. AUGUST 22, 2016: Philadelphia, Pennsylvania: Fearless Femme Racing, a women’s elite road and criterium racing team announces its expansion into professional cyclocross racing in a merger with Level Eleven Racing, a privateer operation founded and operated by pro cyclocross racer Arley Kemmerer. Kemmerer, a member of the 2014 U.S. World Championship team, established her own racing program in 2014 which took the name Level Eleven Racing in 2015. Level Eleven Racing supported Kemmerer and rider and mechanic Rachel Rubino. Rubino had a breakout season, netting her first UCI points in her first season of UCI competition. Kemmerer and Rubino will now race under the Fearless Femme banner, and welcome the addition of Taryn Mudge, a strong up-and-coming Pacific Northwest Philadelphia transplant who has quickly risen in the local mountain bike ranks. Mudge will join Fearless Femme as a development rider this season. The team is set to kick off the season in Rochester, New York, for the first domestic UCI races of the season. Kemmerer has been selected for the World Cups in Las Vegas, NV on September 21st and Iowa City, IA on September 24th. After suffering from a torn hip labrum last season, Kemmerer is back on form and eager to return to World Cup competition. The team will focus primarily on New England and MidAtlantic UCI events and the national championships in January. Kemmerer will also target the domestic C1 UCI events and a European World Cup campaign later in the season.